Buy today your seat for Siena Palio race ! 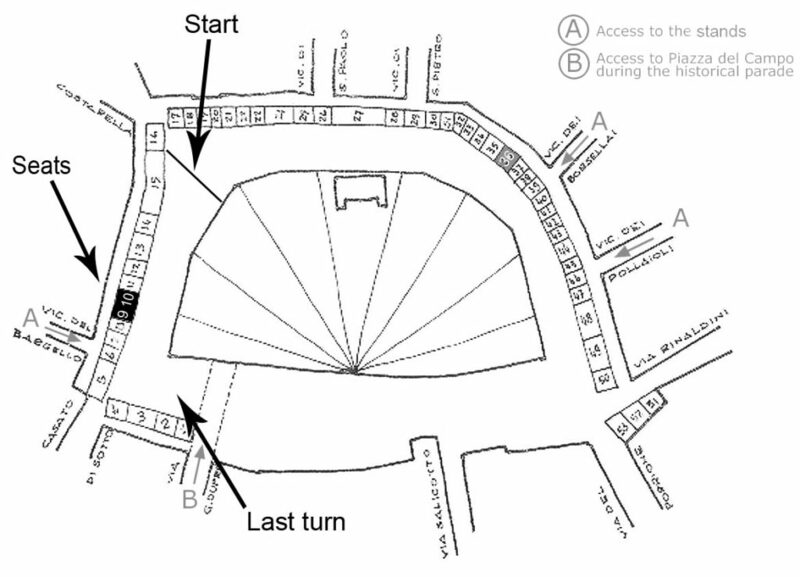 The access to the grandstand is possible starting from 4:30PM, the beginning of the parade in the square. The access is from vicolo del Bargello, show your tickets to the stewards at the entrance and they will tell you where to go.